It's that time of year again...Prom. It's that time when just any old school outfit just won't cut it. Time for the tuxedos and fancy dresses. Most guys and girls bring out their best, even those inspired by styles and eras gone by. You know that the room will be decorated to match, so why leave the music to chance? With ElkhartDJ, you won't. You will be assured of the best. At Elkhart DJ we understand that your prom is one of the most memorable events to take place in your life. As a result, you need to find the very best you can find anywhere who can accommodate what you need in a price range you can afford. From playing your favorite songs to announcing the king and queen of the event, your prom disc jockey can make your event come alive. At Elkhart DJ our goal is to ensure that you are provided with the best music event services anywhere. When you book your event with us, you can be assured that we will be there in a timely manner, we will be friendly, helpful, and honest. We are licensed and insured from the very start of every job for every single event. This way you are assured of the quality and of a legitimate DJ service. 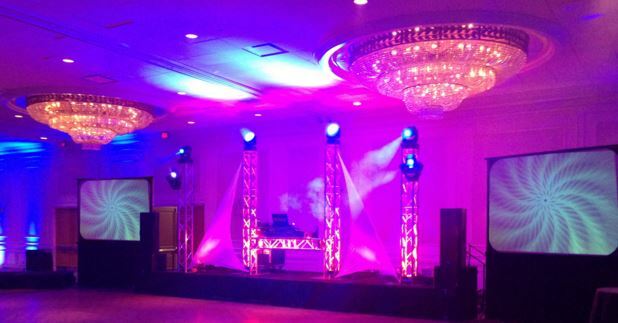 All of the DJs who work for Elkhart DJ have experience working at a wide variety of functions where we provide a multitude of services, and we make sure that the music as well as the personality of the DJ is fitting with your event. We want you to have fun, so we keep the music fun and the vibes of the event upbeat. ElkhartDJ has spent years in the industry, working with the likes of (give customer names here), and many more, with many requesting return bookings. And this doesn't even count the high profile clients that we have worked with, and these are with all ranges of crowds, from corporate to old school house parties to large scale weddings, and even small proms. If you are looking to book a DJ for your school prom, you can absolutely book with us, the most inexpensive and experienced DJ anywhere. Once you call us, you can forget worrying about anything since you will be working with the experience, knowledge, and friendliness that nobody can match. We will make your prom a blast, so look no further. Once you call us, be sure to ask for DJ prom pricing, so we will know how to work with you best. On request, we will also give you a typical DJ prom song list, or we will work with you to customize a listing just for you. The DJ prom playlist is one of the most important aspects of our work for your prom. Ask about our hire a DJ cost so we can make it something you can fit in your budget. Call us today to get started making your dream prom become a reality.